Nurnberg vs RB Leipzig predictions for this weekend’s German Bundesliga. Leipzig look to strengthen their grip on the top four when they travel to the Max-Morlock-Stadion to face Nurnberg on Saturday. Read on for our free betting tips and match preview. Nurnberg’s last meeting with RB Leipzig ended in a crushing 6-0 loss from which they just haven’t recovered. Der Club have gone 17 matches without a win (D5 L12) since, though they did manage to hold leagues leaders Borussia Dortmund to a 0-0 draw last time out at the Max-Morlock-Stadion. Nurnberg were, at least, knocked out of the German cup in the third round at the start of February, so league survival, though a long shot, is now the sole focus. However, that looks a tough ask. Even star midfielder Hanno Behrens – their top scorer in their 17/18 promotion-winning season – is yet to be the answer since his return from injury. At the other end of the table, RB Leipzig are honing in on a return to the UEFA Champions League. Ralf Rangnick’s men followed up a convincing win away to Stuttgart with a 1-1 draw at home to the ever tough Hoffenheim last weekend. Fortunately for them, they still have a four-point lead ahead of 5th place Wolfsburg and a five-point lead over 6th place Frankfurt and, most importantly, have another stellar opportunity to build on that cushion on Saturday. Leipzig have been a tough side to beat, with recent defeats only coming against top two sides Dortmund and Bayern. After a look at the stats, backing the visitors looks a good option. Leipzig’s attacking record combined with Nurnberg’s lack of defensive form – their 0-0 draw against Dortmund must be considered an anomaly – is the perfect combination for a bet there. Leipzig have conceded a league-low three goals in 2019 so far, so it will be very tough to see a goal from a Nurnberg side who have scored a league-low four goals in 2019. Meanwhile, the Red Bulls also boast the sixth-best scoring record this year too. And with Leipzig consistently making the most of their favourable fixtures, for example, in each of their most recent away wins against Dusseldorf (4-0), Hannover (3-0) and Stuttgart (3-1) it’s hard to look past them. Danish forward Yussuf Poulsen is the player to keep an eye on going forward. He is Leipzig’s top scorer with 12 goals so far this season – three short of the Bundesliga’s leading scorer Luka Jovic (15) – and he’s scored four goals over the Red Bulls’ last three away trips. He looks to take advantage of a Nurnberg side that has the third-worst defensive record in the league – in fact, they’ve conceded almost two goals per game over their last nine outings at home – and should continue to excel under Ralf Rangnick’s leadership. Coach Rangnick has only lost one of his nine Bundesliga meetings with Nurnberg. Our prediction: 3-0 Leipzig. Nürnberg are without a win in 17 Bundesliga games (D5 L12) and would set a new negative club record in the top-flight should they fail to win this weekend too. With just 13 points after 23 games, Nürnberg are experiencing the worst Bundesliga season in their history. None of the eight Bundesliga teams that have had a maximum of 13 points at this stage ended up avoiding relegation. Nürnberg have failed to score in six of their last 10 Bundesliga games, netting just four goals in that timeframe – a league-low. 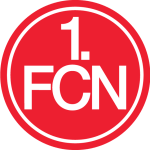 FCN have scored just 18 goals in total this season – a new club low after 23 Bundesliga matches. Nürnberg’s Christian Mathenia hasn’t won any of his last 22 Bundesliga games (D9 L13) – another match without claiming all three points would see the goalkeeper hold the longest winless run of any current Bundesliga player. 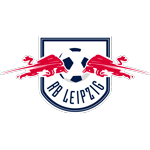 Leipzig are unbeaten in their last five Bundesliga games (W3 D2) – only FC Bayern München and Bayer 04 Leverkusen (12 each) have collected more points than RBL in that timeframe (11). Leipzig have won each of their last three Bundesliga away matches and could now equal their club record in the top-flight set in 2016/17, when they secured four consecutive away victories in October/November. Leipzig haven’t lost any of their nine league meetings with promoted sides since gaining promotion themselves in 2016 (W7 D2). Their last two games against promoted teams have resulted in wins by a 4+ goal margin – 6-0 vs. Nürnberg in the reverse fixture and 4-0 in Düsseldorf in January. Leipzig coach Ralf Rangnick only lost to Nürnberg in the first of his nine Bundesliga meetings with them (3-1 as Hannover coach). He’s unbeaten against FCN in the top-flight since then (W5 D3).